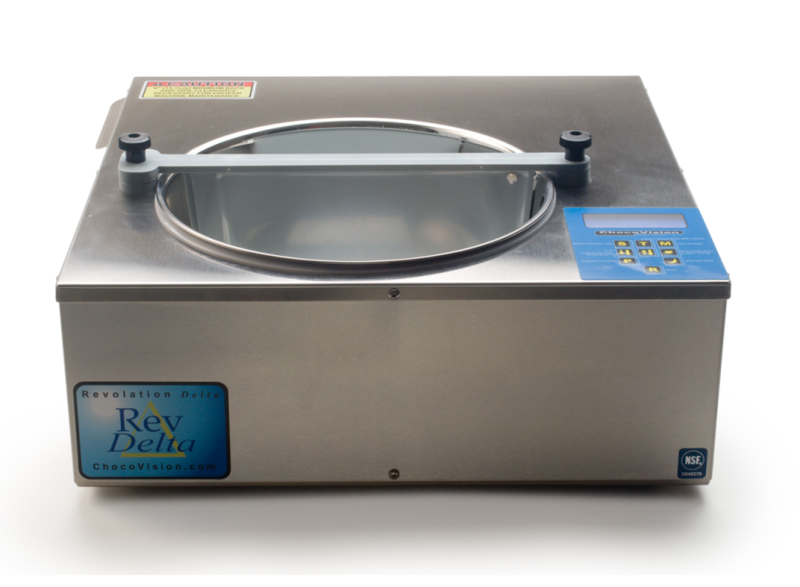 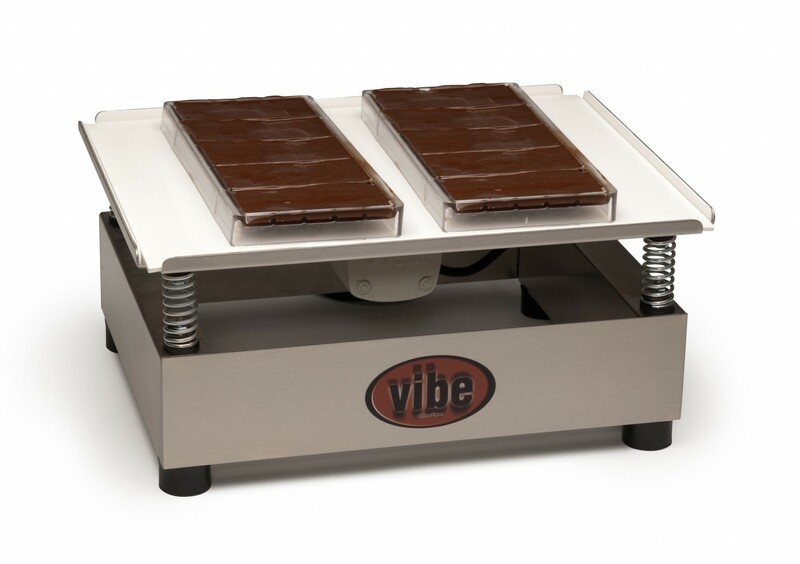 Vibrating chocolate-filled moulds will remove unappealing air bubbles from your chocolate, while spreading it evenly throughout each of a mould's individual cavities. 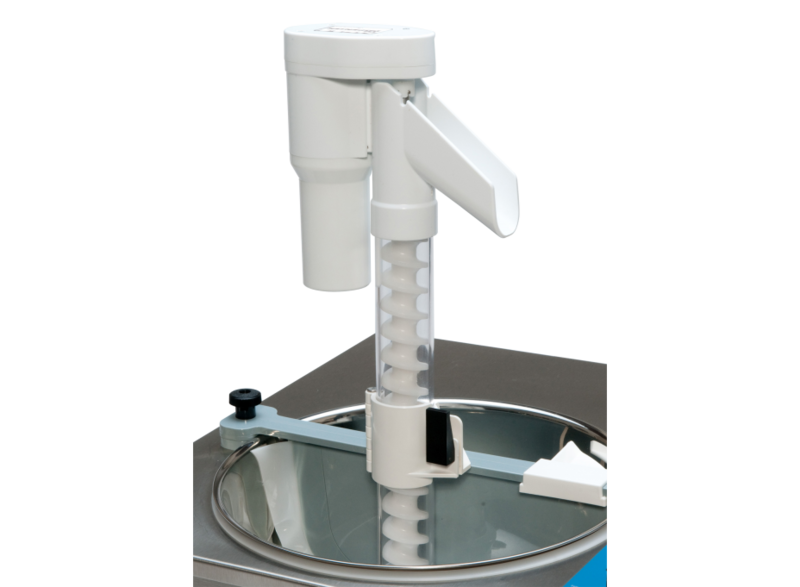 This peice of equipment is essential in creating your best, bubble-free chocolate creations. 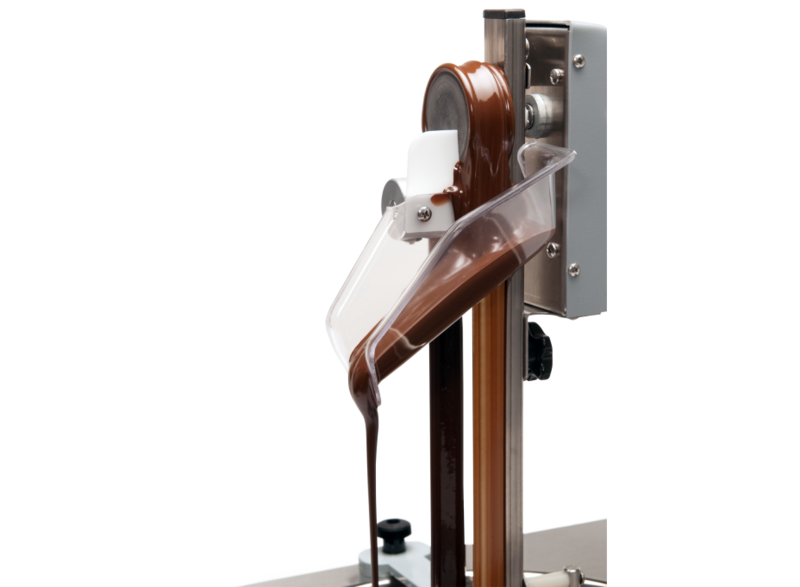 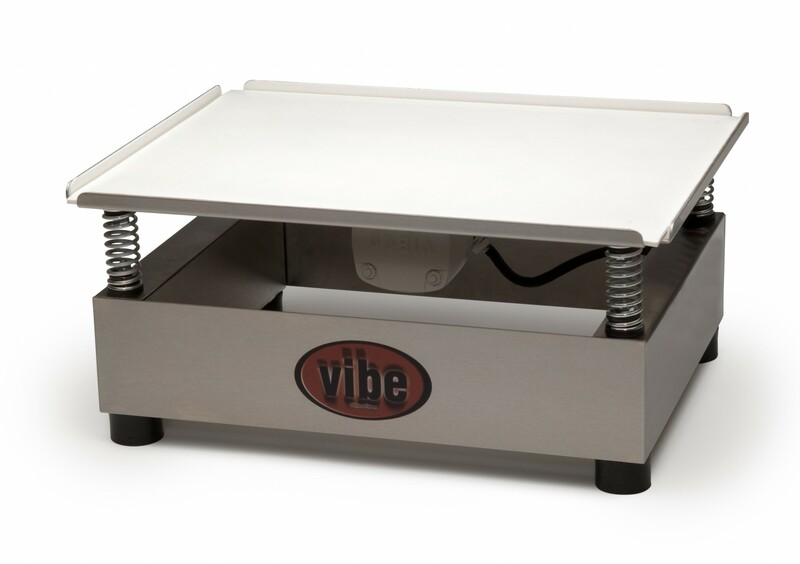 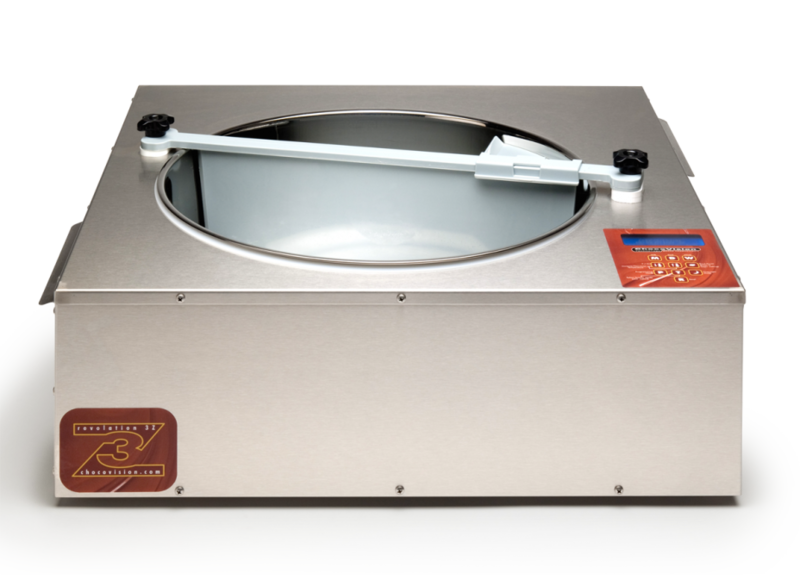 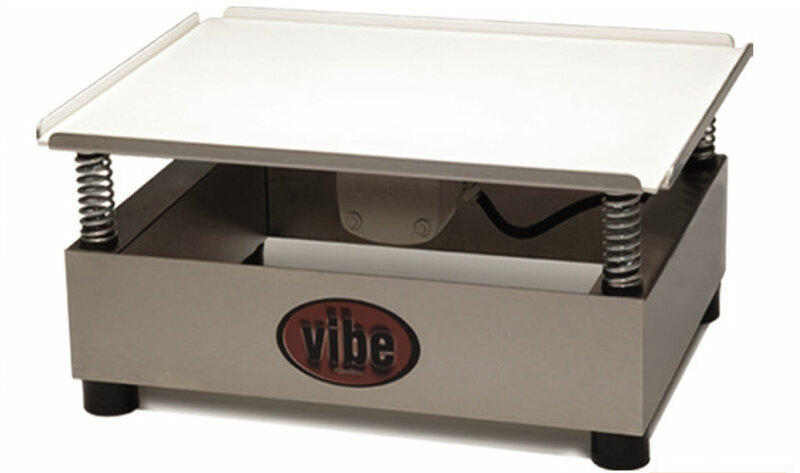 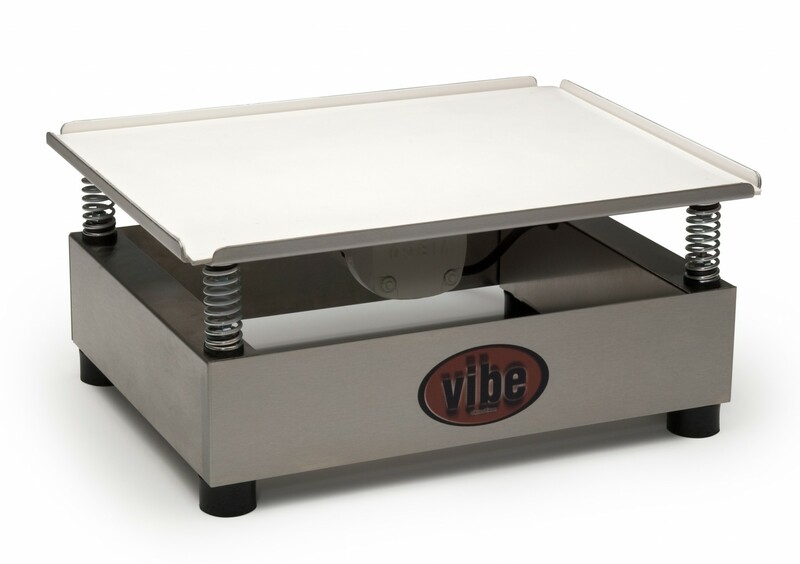 ChocoVision's Vibe, coupled with the fully-automated Revolation Series of chocolate tempering machines, will insure consistency and repeatability of results. 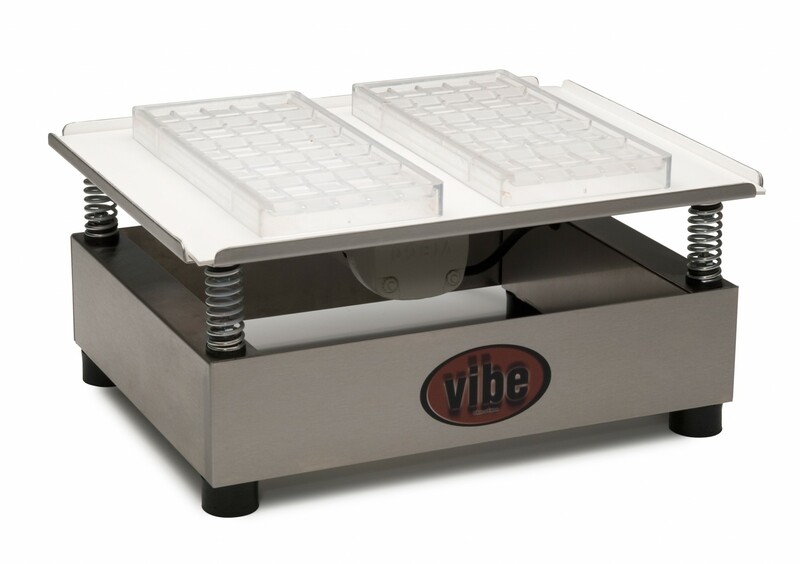 More importatnly; the Vibe will save you time and money!